Ninety-seven years after nuclear Armageddon destroyed our planet, humanity’s sole survivors live on the Ark, an aging space station experiencing overpopulation and inadequate resources. When faced with difficult choices, the Ark leaders - Chancellor thelonious Jaha, Chief Medical Officer Abby Griffin and the pragmatic Councillor Marcus Kane - decide to send 100 juvenile prisoners back to Earth to test its living conditions. Among them a..
All 16 episodes from the second season of the post-apocalyptic teen drama. 97 years after a nuclear war almost destroys the Earth, 100 expendable youths are sent to their ancestor's former home to determine if its surface is habitable, with the hope of repopulating the planet. 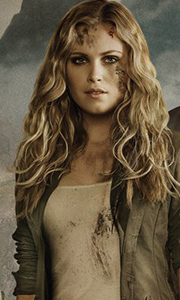 As the 100 begin their quest they are forced to confront dangers in a world they have only seen from space and soon discover they may not be alone on Earth. In th..
Reunited with the survivors of the space-station Ark that fell to Earth, Clarke Griffin and her band of juvenile delinquents have faced death at every turn: from a world transformed by radiation to the fierce Grounders who somehow managed to survive it, and the double-dealing Mountain Men from the fortified Mount Weather, whose civilized environment masked a horrible secret. Though Clarke was alternately challenged, supported and betray.. Season Four opens as a harsh truth lands on the shoulders of those who remain: Earth’s nuclear reactors are melting and will soon set the atmosphere ablaze. Is anything left for our heroes to fight for? Can they find hope knowing the end is inevitable? Will they spend their days trying to survive? Or use their limited time to finally live? The stakes have never been higher. Alliances are shattering and fragile societies are on the brink.. In the aftermath of Praimfaya, the 100 must begin again. With Season Five, our heroes have to examine their responsibility to the new place they call home, and the future generations who will inhabit it. Can they begin again and celebrate what remains, or will the frailties of human nature cost them their one chance to rise from the ashes?..